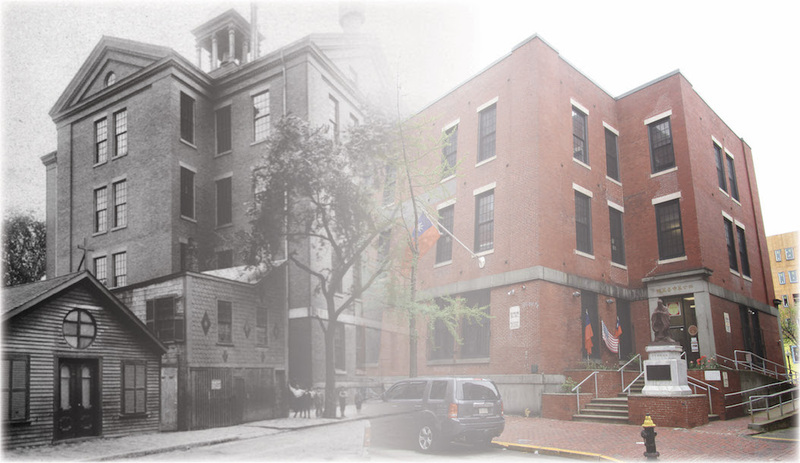 The Old Quincy School at 90 Tyler Street in Boston, c. 1903 (left) and 2017 (right). CHSNE partnered with the Massachusetts Historical Commission and the Chinese Consolidated Benevolent Association of New England (CCBA) to register the Old Quincy School as the first site to the National Register of Historic Places to be nominated for its connection to the history of Chinese in Boston. Last week, CCBA approved the nomination (as the building owners), by a UNANIMOUS vote! We are grateful for CCBA’s leadership role and the strong showing of community support for this nomination. Next week, the Massachusetts Historical Commission‘s State Review Board will review the nomination. This is a public meeting open to anyone interested. Please consider joining CHSNE to show your support for an inclusive history that tells the stories of all Americans.